The Ampersand Unprimed Basswood panel is handcrafted using a non-flexible basswood top, sanded perfectly smooth and ready to seal and prime with the ground of your choice. Compared with other wood panels on the market, the Unprimed Basswood is sanded perfectly smooth and has no plywood seams, knots or raised fibres thus providing the cleaner, more professional look artists’ want. The support frames are made with quality solid pine strips that can be finished with paint or stain. 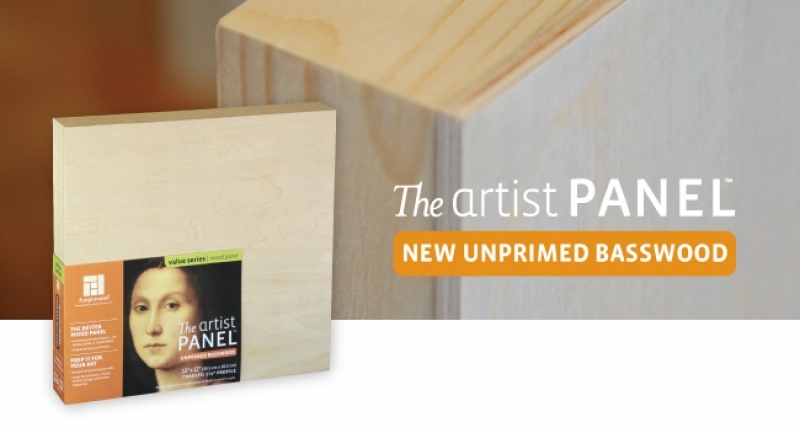 Unprimed Basswood is great for encaustic, mixed media, collage and wood engraving. It is recommened that all wood should be sealed and primed.